Skype is one of the best communication apps. You can use this nice application to chat with your friends, relatives or any other person that you like. Not only that, but now Skype gives you the possibility to leave video messages for your contacts for free. 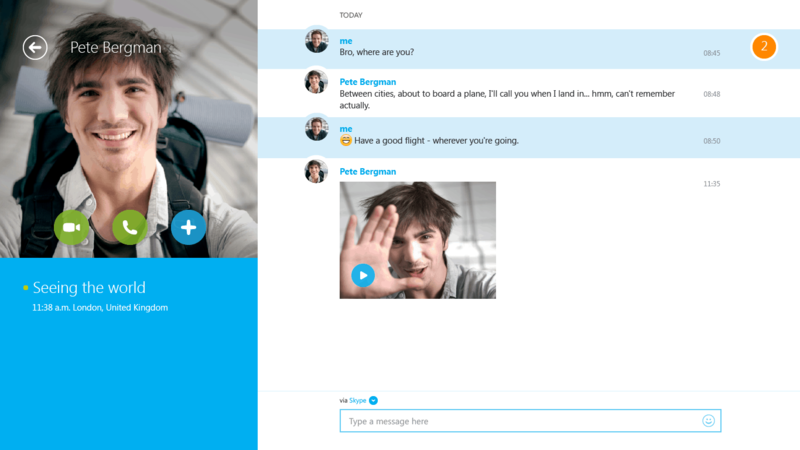 This is feature that Skype introduced in the past as a beta version and now it has finally released a final version. You can record a maximum three minutes message with the newly integrated feature. When the other contact logs in, the video will be automatically played for him. You can watch the video below and find out how you could use this feature in your advantage. The video messaging service is now completely free. It used to require a premium membership to send more than 20 messages but Skype made the service completely free.